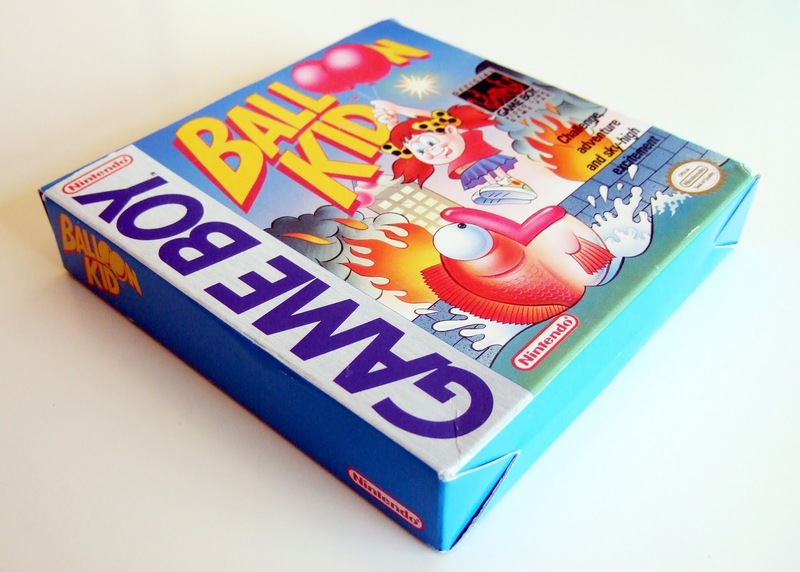 ... a complete-in-box copy of Nintendo's Balloon Kid. 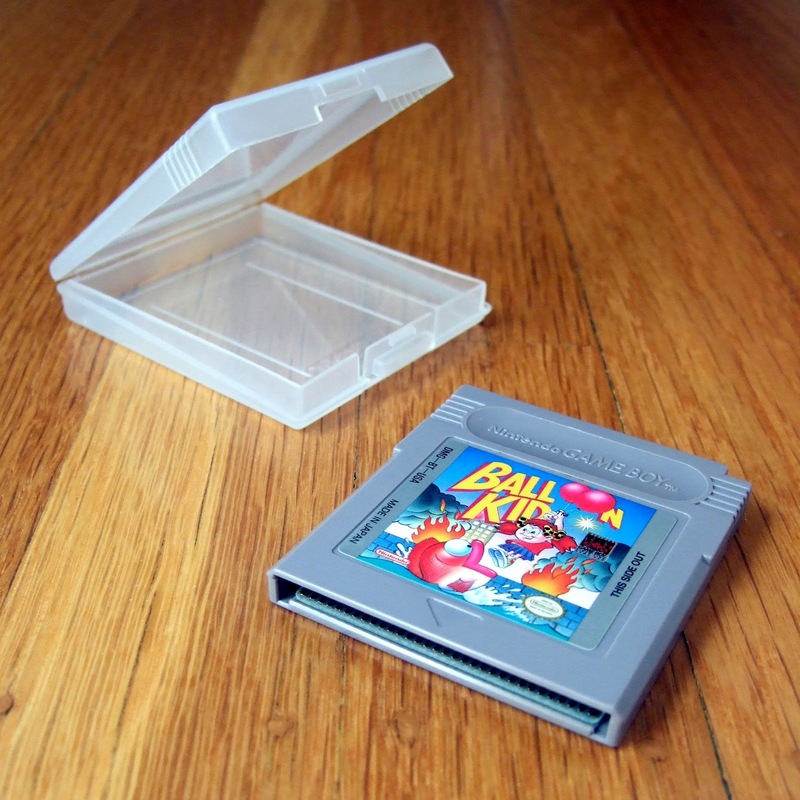 Educational aside: This GameBoy-based sequel-of-sorts to the Famicom/NES classic, Balloon Fight, was released throughout North America in 1990 and throughout Europe in 1991. For some unknown reason, it never received a proper, packaged release in Japan, although a colorized version of the game--called Balloon Fight GB--was released via the company's Nintendo Power service in 2000. For more information on Balloon Kid--which was produced, in part, by Gunpei Yokoi and Yoshio Sakamoto (Hirokazu "Hip" Tanaka composed the game's perky soundtrack)--read these blog posts. I always hate to recommend games to people, Justin, as I'm never sure games that interest me will interest others, too. That said, I really like this one and I *think* you would, too. It's definitely unique, at the very least. My only complaint about the eShop release, by the way, is that it's not the colorized version that Japan got. Anyway, if you get it at some point, let me know what you think of it, will you? Oh man! No Japan release? But we get ALL the good games! That looks like a really good one. Is this the same one that had a Famicom version with Kitty Chan? I still have to find that one! Also, yep, no Japanese release -- other than the version you could download from Nintendo's download service in 2000. It is available on the Japanese 3DS eShop, though. Ah, cool! I mean about Kitty chan, not about the no Japan release of course. `chan` is just a suffix that you put at the end of someone`s name as a means of expressing affection. Usually it is used with girls (`kun` is used with boys), though I`ve seen it used with men too (when my wife wants to tease me for acting childish she has been known to call me Sean-chan).